Originally from Tulsa, Haley has always enjoyed participating in sports and athletics. In high school, Haley was a member of Bishop Kelley’s State Champion Girls’ Soccer team. After high school, she attended the University of Arkansas and obtained a degree in finance. An avid runner, Haley has remained active throughout her life, trying various exercise and fitness programs before discovering CrossFit in 2010. 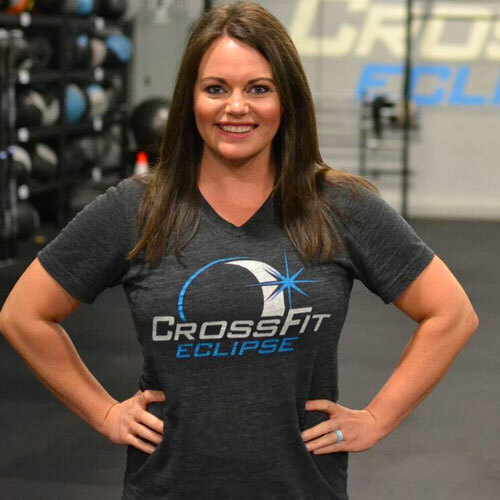 Her three years as a member of CrossFit Eclipse have completely changed her outlook on fitness and health, and have motivated her to begin coaching and training others.